Last summer, I had the pleasure of having Landview Design take down and onstruct a new retaining wall on my property. Despite the arduous nature of the task, Landview Design was extremely diligent and efficient throughout the entire process. From the original estimate (which was affordable) to the tearing down/construction, to the clean up, John Lennon and his employees were excellent in every capacity. When the project was complete, I was truly satisfied with the results. I was also grateful to Mr. Lennon for an excellent recommendation to another company for the building of a fence on my property. 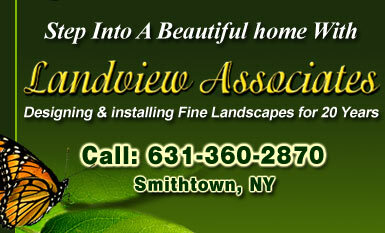 In the business of home repair and landscaping, the only way to hire anyone is through personal recommendation. And in this instance, I wouldn't have a second thought in recommending Landview Design to my friends and family. I have personally known John Lennon for over 11 years and have worked professionally with him over this period. John is one of the most talented landscape designers I have ever dealt with. He is creative, intuitive, and extremely knowledgeable. He has designed whole house landscape plans, deck plans, swimming pools and patios, as well as ornamental structures. His construction talents are no less impressive. He has a diligent staff and executes his designs timely, affordably, within budget and efficiently. He is very responsive, returns phone calls timely and has always been open for modifications. I would heartily recommend John and Landview Design to anyone considering any landscape or site improvement project. We have worked with Landview Associates and John Lennon since 2002. During the course of at least the next seven years, John has built us a beautiful deck; completely landscaped the front and back of our property; conceptualized then made an impressive rock waterfall complete with a 20’ slide in the middle of it going into our pool; installed a blue stone patio; and designed and created an amazing outdoor kitchen entertainment area out of wood and stone. John listened to what we wanted then used his creativity to turn our ideas into reality. Always a pleasure to work with, we highly recommend John for whatever you may want to create. How can we thank you for doing such a fabulous job on our landscaping project. This was a big project for us to do at one time and a bit overwhelming but with your help John it went so smoothly. Your knowledge in so many areas, from design, to plants, to bricks, etc. made this project pull together so nicely. You were able to help us with every aspect of the planning of our landscaping for the front of our house as well as our walkway and driveway. You made it all work so that everything looked great together. I was truly impressed with your staff. They were so hard working, polite and neat. At the end of each day, you would never know that they were here because they left everything so neat and clean. We can’t thank you enough for all your help. We truly love how everything looks. We are really looking forward to working with you again in the future. We have had the priviledge of working with John Lennon for the past 15 years. He designed and landscaped our front and back yards when we bought our home in 1996. We were incredibly pleased. Since then, he has done our stone driveway, stone wall, our porch an our bluestone walkway. In the Fall of 2010, he redesigned our backyard, complete with an inground spa. John is extremely personable and hands on. He is a talented landscape artist and executes the vision to the highest standards. He has an eye for detail and balance and his work is beautiful. His workers are friendly, hardworking and very professional. All jobs were done on budget and on time. It is with the utmost confidence that we recommend John Lennon and Landview Associates. Over ten years ago, my husband and I bought an older home on a large piece of property in St. James. Everything needed work, a lot of work, but we saw the potential the house and the property had. Little by little we fixed the house: the floors, the walls, the kitchen, the garage, the roof, some windows… then, it was time to do our pool area. We wanted to keep that old time country feeling; rural, quiet, tranquil and we didn’t want the pool patio to look out of place. John Lennon and Landview Design were perfect; John has an incredible artistic eye, and we knew he would give the patio the feel we wanted. Not only the free form patio, but the stone steps, meandering wall and plantings create a beautiful country setting. During the summer months, the pool area is a relaxing oasis that we retreat to and enjoy tremendously. Needless to say, we were very pleased with Landview’s and John’s creativity, workmanship and reliability. We have used Landview Associates on three separate landscaping projects and couldn’t be happier with the results. After meeting with us and surveying the area, John masterfully created a landscaping design for our property that was just perfect. He has an innate ability to incorporate our thoughts and ideas with his own and has transformed our land into a beautiful and usable piece of property. John is extremely skilled in his craft, reasonably priced and we would recommend Landview Associates without hesitation. Thank you for the wonderful job you have done in our backyard. We are so happy with the patio and landscaping. It came out better than we ever could have imagined. Your suggestion on the color of the paver was perfect and I am so glad I went with what you recommended. The patio has really become an extension of our house and as a family we are all enjoying it. Your team worked with such professionalism and we couldn't have been happier. We would recommend you to our friends and family and are so thrilled that we chose Landview for the job. ©2010. Landview Associates. All rights reserved.